The new area of A. Frei Logistics company in Gargazon covers the surface of 5,000 m2. 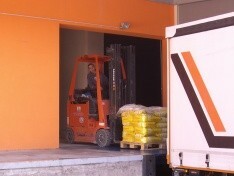 The warehouse’s surface is 2.000m2. Our customers are offered not only a reliable goods transport and effective logistics, but also short temporary and long-term storage of goods of every kind. We give advice to all our customers and we can adjust a perfect financial solution to each of them.